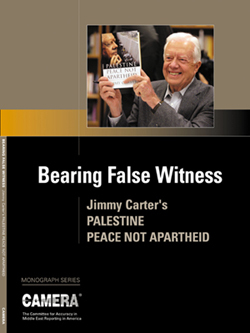 Bearing False Witness, CAMERA’s monograph about Jimmy Carter’s Palestine: Peace Not Apartheid, is now available. In line with this defense, the former president repeatedly has argued that his critics, who supposedly have no grounds to criticize the factual accuracy of the book, have resorted to name-calling and ad hominem attacks. He told Wolf Blitzer that “Most of the criticisms of the book have been the one word in the title, ‘apartheid,’ and the other one [sic] is personal attacks on me. I have been called a liar. I’ve been called an anti-Semite. I’ve been called a bigot. I’ve been called a plagiarist. I’ve been called a coward. Those accusations, they concern me, but they don’t detract from the fact that the book is accurate, and that it’s needed. Not surprisingly, an examination of the book reviews and published comments reveals that these points have rarely if ever been mentioned by detractors of the book, much less denied or refuted. Instead, there has been a pattern of ad hominem statements, alleging that I am a liar, plagiarist, anti-Semite, racist, bigot, ignorant, etc. There are frequent denunciations of fabricated “straw man” accusations: that I have claimed that apartheid exists within Israel; that the system of apartheid in Palestine is based on racism; and that Jews control and manipulate the news media of America. The truth is, much of the criticism of the book has pointed to the misrepresentations of fact in the book, and a number of specific errors have been cited. CAMERA ran full page ads in the New York Times and New York Sun specifically itemizing factual errors and refuting them (and calling on Carter’s publisher, Simon and Schuster, to correct the false claims). But because of space limitations and the sheer number of errors in Carter’s book, those ads could only highlight and correct a fraction of Carter’s falsehoods. Here, we have compiled a more detailed and inclusive list of factual errors from Carter’s book and media appearances. The list will be updated as we come across any further errors of fact made by the former president. The demand is for them to give back all the land. The United Nations resolutions that apply, the agreements that have been made at Camp David under me and later at Oslo for which the Israeli leaders received the Nobel Peace Prizes, was [sic] based on Israel’s withdrawal from occupied territories. None of the documents mentioned — U.N. Security Council Resolution 242, the Camp David Accords and the Oslo Agreement — require Israel to return to the vulnerable pre-1967 armistice lines. The Oslo Agreements, too, deferred “borders” as one of the “issues that will be negotiated in the permanent status negotiations” (Article XVII, 1, a). Page 57: The 1949 armistice demarcation lines became the borders of the new nation of Israel and were accepted by Israel and the United States, and recognized officially by the United Nations. ccupation, retaining its presence only in Shebaa Farms. Two days later, the Security Council endorsed the Secretary General’s conclusion. Page 190: The governments of Ariel Sharon and Ehud Olmert have built the fence and wall entirely within Palestinian territory, intruding deeply into the West Bank to encompass Israeli settlement blocs and large areas of other Palestinian land. And this wall, unlike the Berlin Wall, which was built on East German territory, none of this wall is built on Israeli territory. It’s all built inside the West Bank …. And in no place along that wall does it separate Palestinians from Israelis to protect Israelis. Everywhere the wall separates Palestinians from other Palestinians. … this wall is not built between Palestinian land and Israeli land. No place does the wall touch Israel. The wall is entirely inside Palestine. And the wall is designed as it’s presently planned and being built completely inside Palestine not to protect Israelis but to take Palestinian land, and all you have to do is look at a map … it shows the route of the wall. And, contrary to his claim on the Tim Russert Show, the fence separates “Palestinians from Israelis” along the entire route. 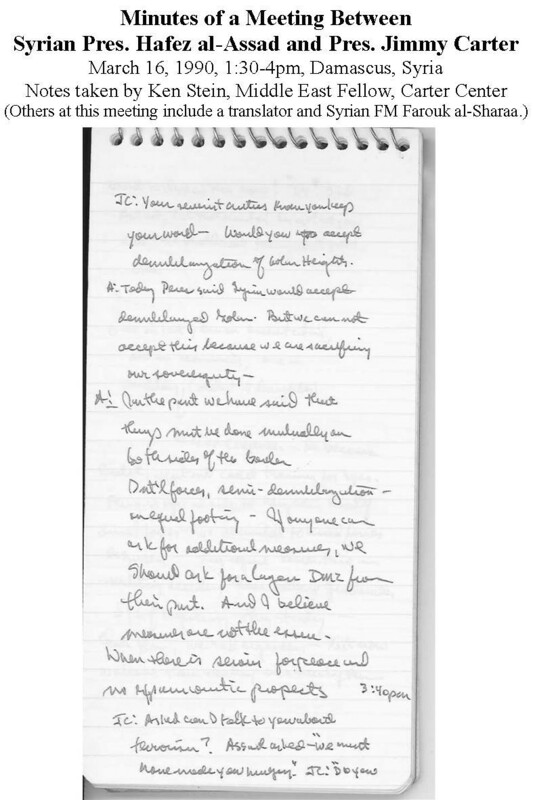 Page 50: Perhaps the most serious omission of the Camp David talks was the failure to clarify in writing Begin’s verbal promise concerning the settlement freeze during subsequent peace talks. Prime Minister Begin pledged that there would be no establishment of new settlements until after the final peace negotiations were completed. But later, under Likud pressure, he declined to honor this commitment …. Obviously, after 1993 the Palestinians gained “appreciable autonomy.” The Oslo process created the Palestinian Authority and gave Palestinians control of political, civic, security, medical, educational and media institutions. Israel ceded 40 percent of the West Bank and eventually the entire Gaza Strip. About 98 percent of the Palestinian population lived in the areas of Palestinian self-rule. Any subsequent Israeli military incursions into these areas have been in response to their use by Palestinians as bases for terrorism. Moreover, Carter omits that Palestinian autonomy as envisioned in the agreements was bitterly opposed by the very PLO he defends. Yasir Arafat and his lieutenants publicly denounced autonomy efforts, and Palestinians who supported them were killed. The New York Times reported on one such murder on Dec. 21, 1977, recounting the gangland style execution of a Christian Arab whose only crime was supporting reconciliation with Israel. Page 207: The unwavering official policy of the United States since Israel became a state has been that its borders must coincide with those prevailing from 1949 until 1967 (unless modified by mutually agreeable land swaps) … . Also as a member of the International Quartet that includes Russia, the United Nations, and the European Union, America supports the Roadmap for Peace, which espouses exactly the same requirements. nly fragile and violated truce lines for 20 years. 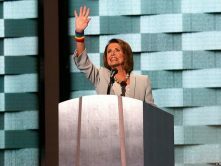 What they now need are recognized boundaries and other arrangements that will give them security against terror, destruction, and war. “[The Road Map peace plan] was immediately adopted in its totality by the Palestinians, who still have no caveats and no objections to the Road Map terms. Mahmoud Abbas, at the time the incoming Prime Minister under Yasir Arafat, did indeed verbally express his support for the document. But there is no evidence that the Palestinian Authority cabinet or parliament ever approved the Road Map, as would be required for such an international agreement. Indeed, there’s no evidence it was ever even discussed by these bodies. Therefore it is nonsense to claim that the “Palestinians” or the PA under Fatah rule accepted the Road Map. And the PA under Hamas rule has refused to accept previously signed agreements, including the Road Map. 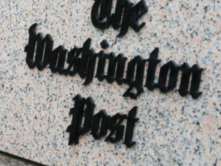 Arafat himself frequently called for destroying that nation, as in: “The goal of our struggle is the end of Israel, and there can be no compromise” (Washington Post, March 29, 1970) and “[p]eace for us means the destruction of Israel. We are preparing for an all-out war, a war which will last for generations” (El Mundo [Venezuela], Feb. 11, 1980). And Israel’s enemies have indeed referred to driving Jews into the sea. For example, the New York Times quoted speakers at a July 13, 1947 meeting held by the Palestine Arab High Committee and “attended by leading sheikhs, mukhtars and other persons of consequence in the Palestine Arab world” calling for Jews to be “thrown into the sea” (“Young Arabs Defy U.S., Britain, Jews,” July 14, 1947). 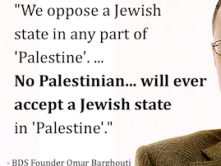 And in a 1948 interview with the New York Times, Muslim Brotherhood head Sheikh Hassan el-Bana said: “If the Jewish state becomes a fact, and this is realized by the Arab peoples, they will drive the Jews who live in their midst into the sea” (“Aim to oust Jews pledged by sheikh,” Aug. 2, 1948). Page 179: Hamas was now [January 2006] holding many local posts, and their incumbent officials had been free of any allegations of corruption and, for sixteen months, had meticulously observed a cease-fire commitment, which they called hudna. On Aug. 31, 2004, Sixteen people were killed and 100 wounded in two nearly simultaneous suicide bombings aboard two city buses in Beer Sheva. Hamas claimed responsibility. On Sept. 29, 2004, two preschool children were killed by a Qassam rocket fired from Gaza. Hamas claimed responsibility. On Jan 13, 2005, Palestinians terrorists attacked the Karni crossing between the Gaza Strip and Israel, killing 6 civilians. 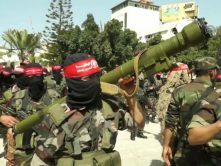 Hamas claimed joint responsibility. On July 14, 2005, a woman was killed by a Qassam rocket fired from Gaza. Hamas claimed responsibility. Carter flatly denied that Ismail Haniyeh, a Hamas leader, swore never to recognize Israel. Ismail Haniyeh, the Hamas prime minister of the Palestinian Authority, was quoted by the Associated Press, Chicago Tribune, Detriot Free Press, the Guardian (London), and others saying just that. Page 5: Israel launches preemptive attacks on Egypt, Syria, Iraq, and then Jordan …. Thus, before any shots were fired, Egypt had initiated the hostilities. Israel also did not initiate hostilities against Jordan, Syria or Iraq. At the start of fighting between Israel and Egypt, Jordan began shelling the heart of Israel – from the center of Tel-Aviv all the way down to Jerusalem – using American-made 155-millimeter Howitzers (known as “Long Toms”). For more details on the start and course of the Six Day War please click here. While calling for a Palestinian state in the West Bank and Gaza Strip, the prisoners’ document says nothing about “acceptance of Israel as a neighbor,” leaving open the possibility that Palestinian control over the occupied territories would be seen only as a “phase” toward an eventual Palestinian state encompassing Israel. tle children you’re holding …,” and the Israeli government refused to swap …. Palestinian militants distributed a statement Monday saying they will provide information about a kidnapped Israeli soldier if Israel agrees to release all female prisoners and all children under 18 being held in Israeli jails. It is also noteworthy that Carter fails to mention two Israelis were killed during the Palestinian attack that resulted in the kidnap of Gilad Shalit. Page 147: Unfortunately for the peace process, Palestinian terrorists carried out two lethal suicide bombings in March 1996, a few weeks after the Palestinian election. Thirty-two Israeli citizens were killed, an act that probably gave the Likud’s hawkish candidate, Binyamin Netanyahu, a victory over Prime Minister Shimon Peres. This, too, is an error of omission, as Carter fails to mention significant Palestinian attacks that immediately preceded the March attacks. On February 25, 1996, a Hamas bomber killed 26 at the central bus station in Jerusalem, and a separate bombing claimed the life of another Israeli. Rick Richman gives further details about how the maps are mislabeled, and explains that “the point [Carter] was trying to make with the borrowed and altered maps is central to his entire book.” See that analysis here. Page 150-51: Later, during his last months in Washington, President Clinton made what he called his final proposal. … Israel could maintain its control of the Jordan River valley … . The best offer to the Palestinians—by Clinton, not Barak—had been to withdraw 20 percent of the settlers, leaving more than 180,000 in 209 settlements, covering about 10 percent of the occupied land, including land to be “leased” and portions of the Jordan River valley and East Jerusalem. The fact is that the proposals [Clinton] made were never accepted by either Barak on behalf of the Israelis or by the Palestinians, Arafat. You could check with all the records. Barak never did accept [the Clinton parameters]. Page 130: … when I visited Damascus in 1990, President Assad informed me that he was willing to negotiate with Israel on the status of the Golan Heights. 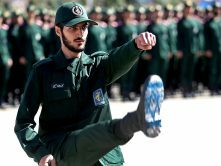 His proposal was that both sides withdraw from the international border … [and] Syria might move its troops farther from the border because of the terrain. Settlers lived on roughly 15-20 percent of Gaza land, and controlled little of its water. In fact, Israel has supplied, and continues to supply, large amounts of water to Palestinians in the Gaza Strip. In “Caught in the Crossfire” (June/July), Barbara Matusow wrote that Israeli settlers occupy 25 percent of the land in the Gaza Strip and control most of the water resources. According to the Institute of Applied Research in Jerusalem, the Palestinians control 95 percent of the water resources in Gaza. Estimates vary widely when it comes to control of the land, however. A June 2004 report on Gaza by the World Bank states that 15 to 20 percent of the land is occupied by settlements. Page 121: Each Israeli settler uses five times as much water as a Palestinian neighbor, who must pay four times as much per gallon. In fact, some Palestinians—those in Jericho, Tulkarm and Gaza—have paid substantially less for water than the typical Israeli household. For further details on water issues please click here. Page 197: Confessions extracted through torture are admissible in Israeli courts. Under Israeli criminal procedures when a person claims that his confession was extracted via torture, a “trial-within-a-trial” is immediately held (in Hebrew mishpat zuta) in which the prosecution must prove that torture or other illegitimate means were not used. If the prosecution is unable to disprove claims of torture the confession is thrown out. In addition, if it appears that other illegal means short of torture were used, the confession can be admitted, but only if the court finds that the interrogation did not prejudice the defendant’s free will. (See for example, The Right to a Fair Trial, D. Weissbrodt and R. Wolfrum, eds., Springer, 1997.) See more details here. Page 151: There is a zone with a radius of about four hundred meters around each settlement within which Palestinians cannot enter. Palestinians often enter within four hundred meters of Israeli settlements. The Israeli settlement of Psagot, for example, is well under 400 meters away from Ramallah, which under Oslo was turned over to full Palestinian control (Area A). Palestinians sometimes enter the settlements. Palestinians from villages near the Israeli settlement of Ariel work alongside Israelis at a textile factory in the settlement. Even when he was ordained as the one to represent the Palestinians, still not a single day of negotiations has been committed by Israel or the United States. Mahmoud Abbas, the Palestinian president, and Ariel Sharon, prime minister of Israel, held summit talks at this Egyptian resort on Tuesday — the highest-level meeting between the sides in four years — and declared a truce in hostilities. Let me refer now to the controversial word [“apartheid”] again. … Nelson Mandela … visited the territories and used the same description. There seems to be no record of Mandela ever asserting that Israel practices apartheid. Silverman: … one point that you have made in the book … is that Israel itself is a beautiful society, it’s a democracy … people have equal rights, including Arab citizens, correct? Silverman: But then when you talk about apartheid – you’re accusing the Israel government of apartheid – and when I hear that term “apartheid,” I think of virulent racism. And how can anybody help but think that and not associate that with the Israeli government? Carter: All you have to do is read the book and you see that I make it very clear in the book that I’m not talking about racism, it’s not based on racism. … [I]t’s not based on race, it’s based on avarice of Palestinian land. Silverman: But won’t you concede, sir, that the word apartheid connotes racism in the minds of most people? Carter: No, I don’t think so. If you look at the dictionary, even the largest dictionaries or even look at the official definition of apartheid in the United Nations its based on mandatory separation of two people and the persecution of one group by the other. Definitions of the word “apartheid” not only connote, but state, that it is based on race. * An earlier version of this article mistakenly referred to page 125 instead of page 215. We regret any confusion this may have caused.